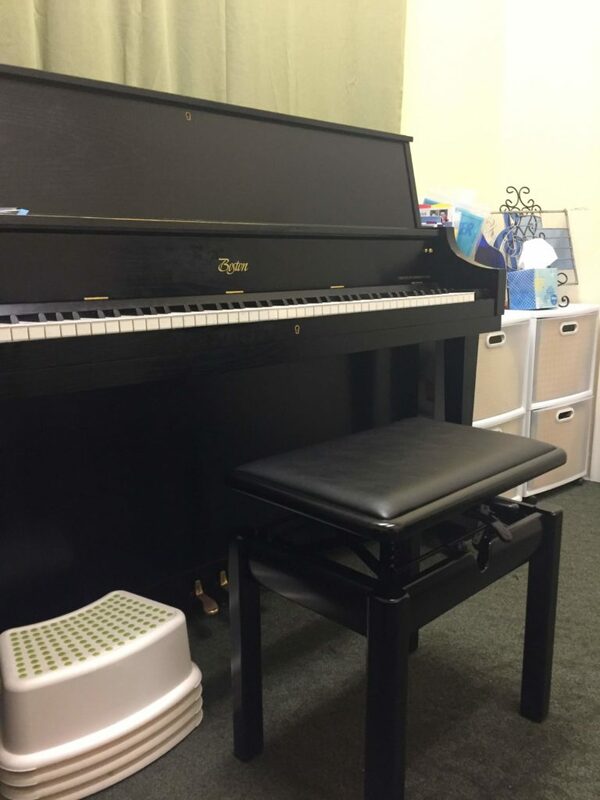 I recently got a new piano bench for my teaching studio, and I love it! I learned about Exemplar benches at the MTNA Conference last year. They had a booth set up in the exhibit hall and I immediately liked the benches. Finally, at the end of 2018 I was able to order one! They adjust up and down very easily using a totally different mechanism than most adjustable benches. I love how fast it is to adjust. I also like that there are numbered notches, so my students can find which one is comfortable and easily return to the same setting each week. I think it’s important for us to make accommodations for our growing students so that they have a good technical foundation from the start. This bench definitely makes it easier to get them sitting at the right height. It feels very sturdy and I believe will last a long time. *Disclaimer – I received no compensation for my opinions in this post. I am just a happy customer sharing about a product I love. Fruit Rhythms - Free Printables!